We owe St. Louis an apology. We write a lot about the best US cities for every sort of category you (or we) can imagine. Creatives. Food. Spending the weekend. Hell, we even made a list of cities that don’t get enough credit, headlined by such hotbeds of misunderstanding as Albuquerque and Reno. You know who showed up on exactly none of those? Yep, the Gateway to the West. And that’s just strange, because in coming up with our trademarked lists of the best of everything in America, St. Louis stuff kept popping up. Best city parks. Zoos with rare animals. Best botanical gardens. Best city museums. You get the idea. 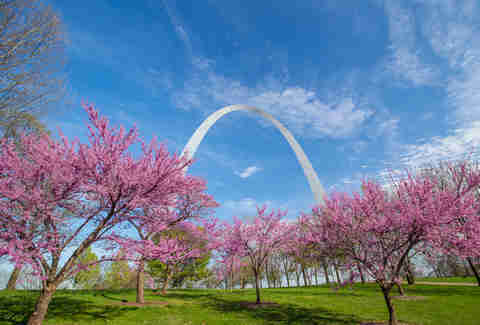 St. Louis clearly has enough fun stuff to fill several weekends. And it's not exactly an obscure American city by any stretch. Yet even for a Midwestern town, it manages to keep such a low profile. The reasons why, it turns out, explain a great deal about why the city is worth checking out in the first place. Much of what raises a city's national profile comes down to how gentrification has unfolded in America over the past generation. The trend has been primarily reversing urban flight, with millennials fleeing the boring ‘burbs and flocking into dense urban cores that are, by and large, much safer than they were in the '70s and '80s. Those Downtowns, in turn, sprout creative small businesses, restaurants serving farm-to-table food and $14 muddled cocktails, hops-happy craft breweries, and Wi-Fied coffee shops. Pretty soon, a city pops up on hip lists, and presumably gets converted into loft spaces en masse. St. Louis hasn’t followed that model. Instead, because the city's amenities remain so geographically spread out, people tend to forget it has so much in one place. That anonymity is truly a plot twist for a city that at the turn of the 20th century was America's fourth-largest, and the biggest west of the Mississippi. 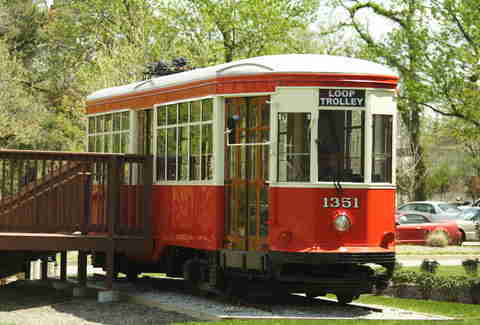 Unlike East Coast metro centers that bloomed in the era of horses and carts, the advent of the automobile allowed St. Louis to become one of the first US cities to grow outward instead of upward. 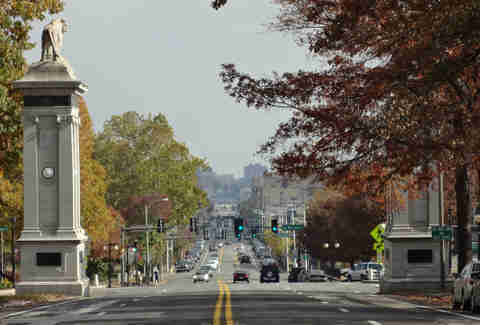 People built neighborhoods a half-hour's drive from Downtown. Modern American suburbs popped up decades before they would elsewhere. What resulted was a city that developed spread-out areas with identities of their own. This was truly the Gateway to the West: LA before LA was LA. Because St. Louis has historically been scattered, its more attractive neighborhoods haven’t sprung up from urban renewal. Rather, they were already there. Creative and energetic young people didn't have to move into dilapidated areas for cheap rent. Rather, they’ve taken the neighborhoods they already had pride in and made them better. 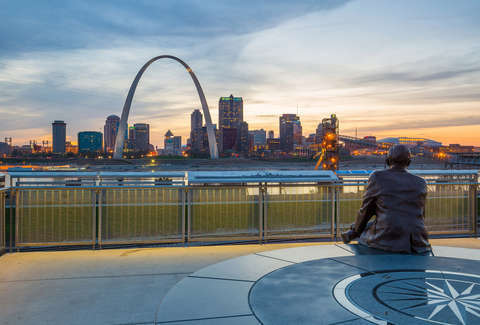 Because St. Louis is affordable pretty much throughout, entrepreneurs didn't have to go far to open bars, restaurants, coffee shops, and art galleries. Take the Delmar Loop. 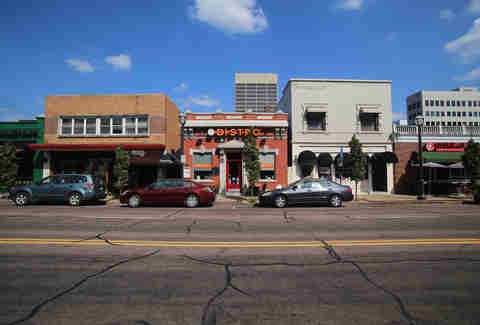 The six-block stretch of Delmar Blvd once used as a turnaround point for streetcars is now lauded as one of the best-designed urban streets in America. It’s lined with a perfect combination of history (the old Tivoli Theatre is here, as well as Blueberry Hill, a club where Chuck Berry used to play weekly shows in the basement) and modern amenities: personal trainers, sushi, upscale lounges, worldly restaurants. It’s the kind of neighborhood one would expect to find adjacent to a city center, in the mold of Miami’s Coconut Grove or Seattle’s Capitol Hill. Instead, it’s 25 minutes away by freeway. “The vibe in the loop is cosmopolitan, but it’s 10 miles outside the city,” Hall says. “There’s also Midtown, there’s the Central West End. Clayton, Soulard. You’ve got 150-year-old painted ladies in Lafayette Square, and that’s basically on the border of the city. Soulard is another example. The old fur trading post (named "drunkard" in French) was founded in the 1790s. And while the landmark farmers market is still there -- and fully operational -- Soulard hasn't lost its reputation for drinks. 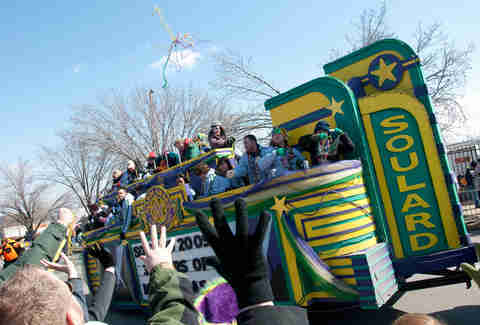 A hub of bars and restaurants, Soulard hosts what St. Louis claims is the second-largest Mardi Gras celebration in America. That’s considerably outside Downtown. The Central West End is also steeped in history, home to the historic Chase Park Plaza Hotel, where Andre the Giant was a regular reveler. Today it’s probably the hottest food neighborhood in the city, with restaurants like Scape -- helmed by Gerard Craft protégé Shimon Diamond -- and Bar Italia sitting a block from the World Chess Hall of Fame. It’s another 15 minutes from the city center. Because people have so much going on in their far-flung neighborhoods, the push to return to the urban core has been slow. And national publications (this one included) haven't exactly flaunted St. Louis' steadiness. Louie’s is a prime example of what makes St. Louis suburbs so peculiar. The eatery itself is a busy, noisy, distressed-wood-adorned urban bistro, with creative food that people actually want to eat and a heavily curated wine list. The crowd is young (Clayton is a stone’s throw from Washington University) and heavily millennial -- an urbane rejoinder to how you might imagine suburban Missouri. Down the street in Clayton is Pastaria, an Italian concept from James Beard Award winner Gerard Craft. Craft, say both Olds and Benn, has blazed a trail here for chefs looking for a more affordable option than New York or California. While St. Louis has brought itself to its newfound renaissance without widespread displacement -- as has happened in places like Seattle's Central District and literally almost all of Brooklyn -- it has not been without its casualties. According to Aliah Holman, the former director of community engagement for Downtown St. Louis, the African-American community -- displaced in part by the famous arch's construction in 1963 -- has been priced out of much of the Downtown revival. But Holman says other parts of the city are being improved, as African-American leaders and developers begin to create areas with affordable housing that once were fairly dilapidated. Aldermen Antonio French and Chris Carter are working with developers to invest in old housing stock in St. Louis City in areas that are 60% to 70% African-American. And north of the Central West End, dilapidated buildings are being painted over with murals of prominent black St. Louisans. If you want to move to a Downtown that's on the upswing, St. Louis isn't a bad candidate. The area around Busch Stadium crackles with energy when the Cardinals are playing, and during any major sporting event, as the bars at Ballpark Village become a civic gathering spot. The new National Blues Museum is drawing tourists and locals into the urban core. And restaurants like Rooster and Taze are attracting locals who are accustomed to sticking close to their surrounding enclaves. That may well be why it's easy to overlook this metropolis in the center of the map, in spite of its abundant best-in-America attractions, its diversity of cool neighborhoods, and its historical position as the launchpad of western expansion. Every American should visit at least once -- or more, given how many neighborhoods here could fill an entire weekend. We're just sorry we didn't steer you there sooner. Matt Meltzer is a staff writer at Thrillist who got to pet a Clydesdale and a sea lion in the same day in St. Louis. See all of it on his Instagram @meltrez1.